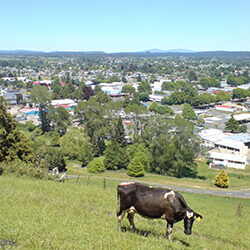 New Zealand’s Tokoroa region might see an end to all local gaming machines in the coming months. The government in the region has given a new gaming salon the go-ahead to start operations, but the salon now has new problems to face. An anti-gambling group is waging a legal battle against the new salon, and hopes to ban gaming machines outright before the venue even opens. Feed Families Not Pokies is the name of the group that is currently looking to take the new salon to court. Colin Bridle, spokesperson for the group, has told reporters that the new salon, which is set to open with 30 gaming machines, will ultimately hurt the development of local families. Bridle maintains that the new venue exploits a loophole in the Gambling Act that allows it to open a mini-casino. The Act, which allows only nine machines in a new venue, can be exploited if RSAs and other clubs merge, which allows them to have more machines at a time. “We don’t want to see a venue with 30 pokie machines in our community which is basically a commercial venture masquerading as a club,” Bridle added.